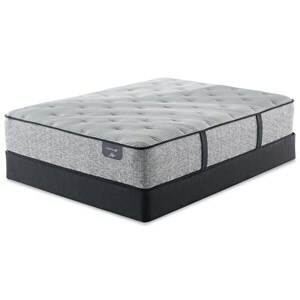 The Harrell Plush Full 14 1/2" Plush Pocketed Coil Mattress and 9" Steel Foundation at Sadler's Home Furnishings in the Anchorage, Fairbanks, Sterling, Alaska area. Product availability may vary. Contact us for the most current availability on this product. 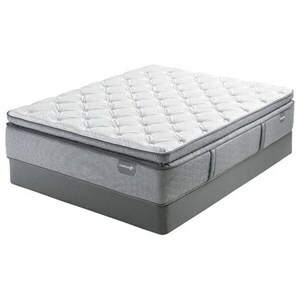 500964299-5030 Full 9" Steel Foundation 1 9"
500956042-1030 Full 14 1/2" Plush Mattress 1 14.5"
Value is what you get with this exclusive collection of mattresses from Mattress 1st, one of the premier buying groups in the Nation. You'll find well constructed mattresses with quality components, built to last. The Harrell Plush features individually Wrapped Coils that are foam encased giving you the support and edge support of a higher priced mattress. 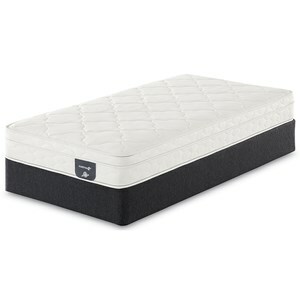 The Swirl Gel Memory Foam provides a cooler rest and layers of comfort foam provides you a comfortable sleep surface. This is a very good value and a good mattress for a side or back sleeper. The Harrell Plush collection is a great option if you are looking for Mattresses in the Anchorage, Fairbanks, Sterling, Alaska area. Browse other items in the Harrell Plush collection from Sadler's Home Furnishings in the Anchorage, Fairbanks, Sterling, Alaska area.